The Aguasabon Golf Course is a beautiful, yet challenging, 9-hole course, featuring striking scenery that borders the Aguasabon River and touches Lake Superior—cool, breezy summers and no tee times are what make this course so enjoyable. Designed by Howard Watson, the course features four sets of tees for different skill levels (Mens, Ladies, Seniors and Juniors)—the greens consisting of bentgrass and the fairways, annual bluegrass. After a rousing round of golf, you can relax on the upper patio at the Aguasabon Clubhouse which features a stunning view of Lake Superior and the course. 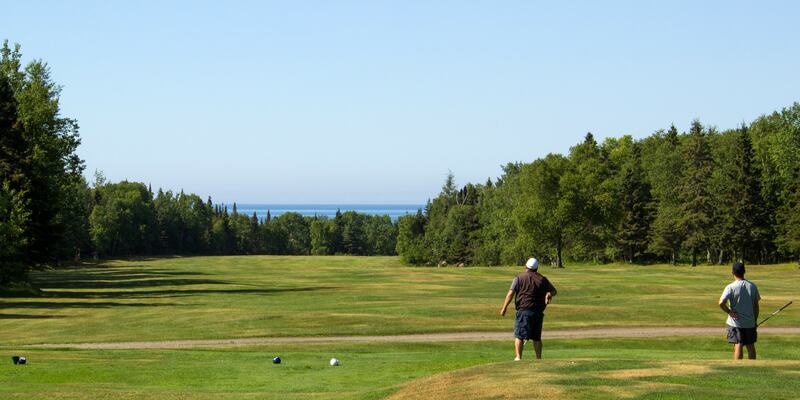 Relax and golf along the majestic Lake Superior!